On 26 July 2017, the Economic and Social Council (ECOSOC) approved the Secretary-General’s nomination of the 24 experts of the Committee of the Experts on Public Administration (CEPA) listed in documents E/2017/9/Add.9 and Add.10. . It also revised the term of office for the 24 experts on a one-time basis, to three years and seven months, beginning on 1 January 2018 and ending on 31 July 2021, to better align the programme of work of CEPA with the July-to-July cycle of ECOSOC, on the understanding that the following term for the Committee would begin on 1 August 2021 and end on 31 July 2025. In accordance with the Council’s resolutions, the Secretary-General nominates 24 experts, in their personal capacity, as members of the Committee normally for a four-year term. ECOSOC has responsibility for deciding on appointments to the Committee. In making the nominations, the Secretary-General takes into account the need to have a range of expertise among the Committee members in the interrelated fields of public economics, public administration and public finance, as well as gender and geographic balance. Linda J. Bilmes is a leading expert on budgeting and public finance. She is a full-time faculty member at Harvard University, teaching public finance, regional finance and budgeting. She leads the university’s training in public finance for newly elected United States members of Congress and mayors. Ms. Bilmes was twice confirmed as Assistant Secretary and Chief Financial Officer of the United States Department of Commerce by the United States Senate. She is currently a Presidential appointee on the National Park System Advisory Board of the United States Department of the Interior. She serves on the Boards of Directors of the Institute for Veterans and Military Families at Syracuse University and Economists for Peace and Security, a distinguished body dedicated to promoting non-military solutions to world challenges. Professor Bilmes has authored or co-authored numerous books, book chapters and articles on the costs of war, the value of public lands, conservation, and finance. She has published “Total Economic Valuation of the National Park Service Lands and Programs” (2016), which established an economic value of United States national park assets for the first time. Her work has been published in a number of prominent newspapers, magazines and other publications. She was the recipient of the 2008 “Speaking Truth to Power” Award by the American Friends Service Committee. Previously, she was a Principal in London, Madrid and Moscow with an international management consulting firm. She is a member of the Council on Foreign Relations and a Fellow of the National Academy of Public Administration, both based in the United States. She holds a BA and MBA from Harvard University and has also taught and studied at Oxford University in the United Kingdom of Great Britain and Northern Ireland. 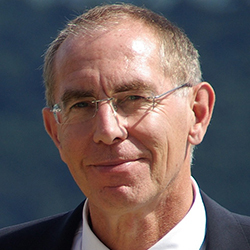 Geert Bouckaert has been Professor at the KU Leuven Public Governance Institute at the KU Leuven University in Leuven, Belgium, since 1996. He is former President of the European Group for Public Administration and is currently president of the International Institute of Administrative Sciences. He has authored or co-authored numerous books, including Public Management Reform, A Comparative Analysis: Into the Age of Austerity, and Performance Management in the Public Sector. Mr. Bouckaert has been visiting professor to several universities, including Bocconi University in Milan, Italy, and University of Potsdam in Germany. He has conducted extensive research on governance in the public sector at both the national and subnational levels with a focus on reform, performance, trust, agencies, information systems and financial cycles. 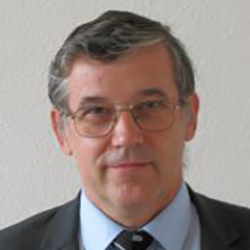 Mr. Bouckaert is a member of several editorial boards of international public administration journals. He has been awarded several honorary doctorates and the Anneliese Maier Research Award from the Alexander von Humboldt Foundation. He advises the Organization for Economic Cooperation and Development and several Governments on their reform initiatives. A senior civil service officer of the Government of India, Upma Chawdhry is Secretary of the Department of Youth Affairs of the Ministry of Youth Affairs and Sports. Prior to her current appointment, she served as Director of the Lal Bahadur Shastri National Academy of Administration at Mussoorie, which is the premier training institution for the higher civil services in India and is involved in public policy and public administration – the first women to hold this position. 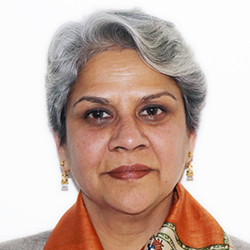 Ms. Chawdrhy has held senior positions since 1983 both in the Government of India and in the provincial Government of Himachal Pradesh where she was last posted as Additional Chief Secretary. Emmanuelle d’Achon is Inspector General at the General Auditing Service of the Ministry of Economy, Finance and Public Accounts of France, the department responsible for auditing public or private entities managing public funds and counselling the Government in evaluating the efficiency of public policies. 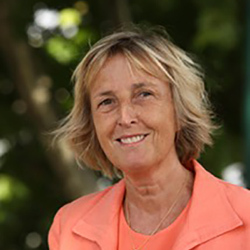 She is also a member of the Board of the Alternative Energies and Atomic Energy Commission of France. In 2013 and 2014, she was Assistant Secretary-General of the Ministry of Foreign Affairs and International Development, supervising governance and administration as well as international negotiations on cybersecurity issues and formal consultations with African countries. She served as Ambassador to Ireland from 2010 to 2013 and to the United Republic of Tanzania from 2004 to 2007, where she prepared the signature of a bilateral framework agreement on development cooperation. She was Counsellor at the Permanent Mission of France to the United Nations from 2001 to 2004, in charge of Security Council matters. Ms. d’Achon was involved in personnel administration for the Ministry of Foreign Affairs and International Development from 1996 to 2001 and was appointed Director of Human Resources, Deputy Director of Administration, responsible for the management of 16,000 public servants and local personnel from 2007 to 2009. Ms. d’Achon worked as a Congressional fellow in the United States Congress in 1989 and 1990 and also served in Washington, D.C., Mauritius and South Africa. She holds a Bachelor’s degree in French literature from the University of Caen and graduated in international relations from the Political Science Institute of Paris. She is a former student of the National School of Administration in France. 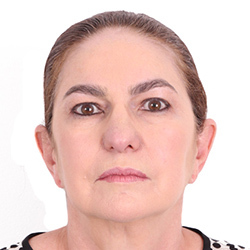 Mrs. Cristina Duarte has over thirty years’ of professional experience, most of which is in leadership and senior management positions in government and in the private sector. 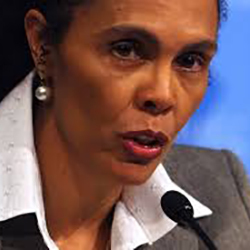 In June 2018, she was appointed to the newly-formed United Nations High-Level Advisory Board on Economic and Social Affairs, and has been a Visiting Research Fellow at the Witwatersrand University School of Governance in Johannesburg since February 2018. 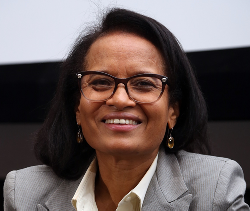 Mrs. Duarte is also a Visiting Research Fellow at the Witwatersrand (WITS) University, School of Governance, Johannesburg, since February 2018.She served the Government of Cabo Verde as Minister of Finance, Planning and Public Administration from 2006 to 2016. In her capacity as Minister of Finance, Mrs. Duarte also served as Governor for ten years at the International Monetary Fund, World Bank and African Development Bank. Prior to that, she was the director of a World Bank reform program on private sector development and competitiveness in Cabo Verde. In the private sector, she rose to become Vice-President, Country Corporate Officer and Head of Corporate and Investment Banking at a major international investment bank in Angola. As Vice-President, Mrs. Duarte won a Certificate of Commendation, acknowledging her as one of the best performers in the Central Europe, Middle East and Africa Department. Mrs. Duarte was a candidate in the 2015 election for the presidency of the African Development Bank and reached the last round after being in second position in the first three rounds among eight candidates. As Minister of Finance and Planning, Mrs. Duarte implemented a transformational agenda for the public finance management (PFM) system, which is now a reference in Africa. Her reform efforts allowed Cabo Verde to win the “All Africa Public Sector Innovation Awards” in 2013 and placed Cabo Verde among the top five countries in Africa in terms of accountability and transparency. Additionally, Mrs. Duarte implemented a substantial fiscal policy reform programme that reinforced Cabo Verde’s domestic resource mobilization. The credibility of the PFM system developed largely under her leadership in Cabo Verde played a crucial role in the mobilization of external financing and the implementation of a public investment programme designed to promote the MDGs. These achievements placed Cabo Verde on track to achieve all of the Goals and enabled it to be among the first countries to be awarded a second investment compact under the Millennium Challenge Account programme of the United States Millennium Challenge Corporation. Geraldine Joslyn Fraser-Moleketi is the Chancellor of Nelson Mandela University. She was the former Special Envoy on Gender at the African Development Bank. In this role, she led a strategy to mainstream gender in the Bank’s policies and operations, making the Bank a reference institution on gender equality in Africa. She was previously Director of the Democratic Governance Group of the United Nations Development Programme, with activities in more than 170 countries, supported from six regional service centres. She served in the South African Government as Minister of Public Service and Administration for two consecutive terms. As Minister, she led the development of a senior management service within the South African public service; oversaw a comprehensive review of the public service remuneration system; revitalized the “Batho Pele” strategy within the public service; and established the Government Employees Medical Scheme and Public Administration Leadership and Management Academy. She also served as Chair of the Pan African Ministers of Public Service for three consecutive terms and has worked on intergovernmental bodies globally and in Africa. While Minister for Public Service and Administration, she served as a member of the United Nations Committee of Experts on Public Administration. As Minister for Welfare and Population Development in the first democratic Government of South Africa, she introduced the Government’s white papers on social welfare (1997) and on population policy (1998) in the Parliament, worked on the development and implementation of the Child Support Grant and chaired the Ministerial Team on Children and Youth at Risk. She served as Deputy Minister of Welfare and coordinated the country’s preparations for the Fourth World Conference on Women, held in Beijing in 1995. Ms. Fraser-Moleketi also served as Deputy Leader of the South African delegation to the Conference and represented South Africa at the World Summit for Social Development in Copenhagen in 1995. In addition, she served as member of the South African Parliament for three consecutive terms, from 1994 until her resignation in September 2008, and was a member of the Constituent Assembly and various subcommittees responsible for drawing up the South African Constitution adopted on 8 May 1996. She served on the Management Committee of the Convention for a Democratic South Africa and was Deputy National Coordinator of the National Elections Commission of the African National Congress in preparation for the country’s first democratic elections. Mrs. Fraser-Moleketi serves on various boards across academia, government and development organizations on issues related to youth, the empowerment of women, capacity development and education, governance and poverty eradication. She also serves as non-executive director on the boards of listed companies. She is a fellow of the Institute of Politics at the Kennedy School of Government of Harvard University, and holds a Master’s Degree in Administration. Mrs. Fraser-Moleketi was named 2016 New African Woman of the Year and was conferred a Doctorate of Philosophy (Honoris Causa) by the Nelson Mandela Metropolitan University, Port Elizabeth, South Africa. 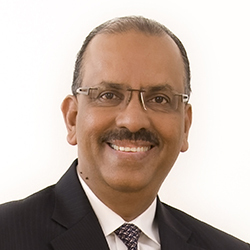 Ali Hamsa is the former Chief Secretary to the Government of Malaysia and currently serves as President of the Commonwealth Association for Public Administration and Management for a second consecutive term. 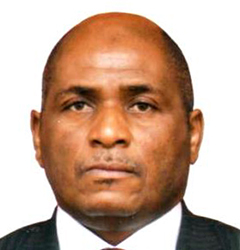 He started his administrative and diplomatic service career as Assistant Secretary at the Ministry of Trade and Industry in 1981 before assuming strategic roles in the Economic Planning Unit in the Prime Minister’s Department as Director of Disbursement and as Deputy Director-General of the National Transformation and Advancement Programme. In 2009, he was appointed as the first Director-General of the Public-Private Partnerships Unit. Mr. Hamsa is the Chairman of the Mass Rapid Transit Corporation serving Greater Kuala Lumpur, High Speed Rail Corporation, the Malaysian Integrity Institute and Bintulu Port Holdings Berhad. He also co-chairs the Special Taskforce to Facilitate Business in Malaysia. He spearheads the implementation of the Malaysia Civil Servants Housing Scheme, and is engaged in regional economic development in Malaysia as Board Member of the corridor development authorities. He also heads the National Blue Ocean Strategy initiative, a cross-cutting collaborative effort delivering high-impact outcomes for the nation. Mr. Hamsa holds a bachelor of arts (honours) degree from University of Malaya, a Master’s in Economics and a PhD in Environmental Sciences and Economics, both from Oklahoma State University in the United States of America. 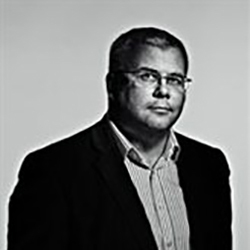 As Programme Director for the British Academy, Paul Jackson oversees the commissioning and work of social science research that contributes towards achieving the Sustainable Development Goals. He is a political economist working predominantly on conflict and post-conflict reconstruction. A core area of interest is decentralization and governance, and it was his extensive experience in Sierra Leone immediately following the war that led him into the area of conflict analysis and security sector reform. He was Director of the Global Facilitation Network for Security Sector Reform and is currently an adviser to the Governance and Social Development Resource Centre, which engages him in wide-ranging policy discussion with donor agencies engaged in these activities, including the United Kingdom and various other European Governments, the European Union, the United Nations and the World Bank. Until July 2010, Mr. Jackson was also Head of the School of Government and Society, where he managed five academic departments and some 200 staff across political science and international studies, local government studies, sociology, Russian and European studies and international development. He remains a board member of the Institute for Conflict, Cooperation and Security, a member of the University’s Cybersecurity Committee and Chair of the University’s Chaplaincy Committee. Mr. Jackson also works in several countries, for institutions ranging from the World Bank to local civil society organizations, including in Bhutan, China, India, Iraq, Nepal, Rwanda, Sierra Leone, Uganda and Zimbabwe, among others. He has worked as an aid evaluator and a governance and conflict analyst. Mrs. Bridget Katsriku has had forty –three years of dedicated service in the Ghana Public Service. She is the immediate past Chairperson of the Public Services Commission of Ghana, the first woman in Ghana to hold this position. She was the first Chief Executive Officer of the Ghana AIDS Commission, which she has established almost single handedly. She held many high leadership positions in the civil service of Ghana, including as the Director of Policy Planning, Monitoring and Evaluation, Chief Director (Permanent Secretary) of the Ministry of Employment and Social Welfare and the Ministry of Tourism. Between 1986 to 1990, she led a team of Job Inspectors that undertook a major staffing rationalization of the Ghana Civil Service. She chaired and led many policy development initiatives, such policy on tourism development, Labour-Management Relations, NGO –Government relations, Ageing policy, Human Resource Policy Framework and Manual, development of a Public Service Corporate Governance Manual, among others. She also chaired public service reforms and is very passionate about innovation in public service delivery and an advocate for reduction in public service bureaucracy. She served as a Board member of the Commonwealth Association of Public Administration and Management (CAPAM), a member of the Executive Committee of Africa Association of Public Administration and Management (AAPAM). She also served on several Governing Boards of public service agencies including serving for seven years as a Council Member of the Ghana Institute of Management and Public Administration (GIMPA). 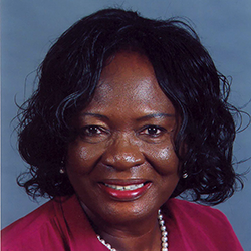 She had won several awards including an Honorary Doctorate Degree conferred on her by the University of Ghana for public service excellence, 2016, and a National Award of the Order of the Volta in 2011 for her excellence and contribution to the Public Service and Best Worker in the Civil Service in 2007. Margaret Kobia serves as a Cabinet Secretary, Ministry of Public Service, Youth and Gender Affairs in Kenya. Prior, she was the Chairperson of the Public Service Commission of Kenya. She was also the Director General of the Kenya School of Government. In 2003, Ms. Kobia joined Strathmore University in Nairobi as a senior lecturer in management, entrepreneurship and research methodology and simultaneously served as a management training consultant. Her research interests include public sector reforms and performance management training. In 2005, she was appointed as the Director and Chief Executive Officer of the then Kenya Institute of Administration. In 2011, she was awarded an Associate Professorship for her outstanding teaching, research and publication work while serving as the Director of the Institute. She has received a number of awards, including the Order of Grand Warrior, the First Class Order of Chief of Burning Spear, Moran of the Golden Heart and Commonwealth Gordon Draper Award 2010 for her strong leadership in the public service in the Commonwealth. In 2014, she was elected as the Vice President of the Commonwealth Association of Public Administration and Management and, in 2015, was appointed co-chair of the Effective Institutions Platform. She was the Chief Editor of the refereed African Journal of Public Administration and Management for five years. Ms. Kobia has a Bachelor’s of Education degree from the University of Nairobi, a Master’s of Education degree from Kenyatta University, and a PhD in Human Resource Education and Entrepreneurship from the University of Illinois in the United States of America. Ma Hezu is Deputy Director-General of the Department of International Cooperation of the Ministry of Human Resources and Social Security, a cabinet ministry of China responsible for the management of national human resources, social security and public service. Since 2014, Mr. Ma has been responsible for the management of China’s international civil servants and for international treaties in the fields of human resources and social security. Currently, as chief negotiator, he chairs the bilateral social security negotiations between China and other countries. 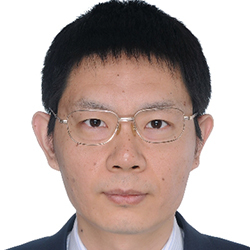 Over the past 18 years, Mr. Ma has been involved extensively in the fields of China’s civil servants and public employee management, labour and social security. He also has broad experience in international cooperation. In 2014, he was twice appointed a member of the Chinese delegation to Geneva for considering reports on the implementation of the International Covenant on Economic, Social and Culture Rights and the Convention on the Elimination of All Forms of Discrimination against Women, respectively. From 2009 to 2014, Mr. Ma worked in the Laws and Regulations Department of the Ministry of Human Resources and Social Security. During this period, he participated in the amendment of the Law on Prevention and Control of Occupational Diseases, the Law on Work Safety and the legislation of the Military Personnel Insurance Law. He also took part in the law enforcement inspection of the Labour Contract Law and the Law on the Protection of Rights and Interests of Women. From 2008 to 2009, he was responsible for personnel management of the public institutions affiliated with the Ministry of Human Resources and Social Security and, from 2001 to 2008, worked in the Personnel and Education Department of the Ministry of Personnel, where he was in charge of training, salaries and welfare. From 1999 to 2001, he was a trainee of the youth civil servants training programme of the Chinese Academy of Governance. Mr. Ma was appointed to the Committee of Experts on Public Administration in December 2016 to fill the unexpired portion of a term of office arising from the resignation of another member. 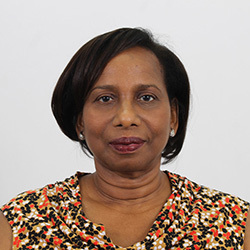 Joan Mendez joined the public service as a Training Officer/Human Resource Adviser in 1987, after having taught for six years at the secondary school level. 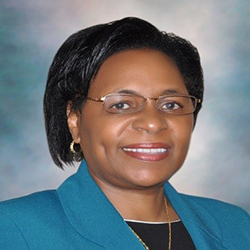 From 1999 to 2007, Mrs. Mendez served as Human Resource Manager/Director at various ministries. Some of her key achievements at these ministerial portfolios included the establishment of a human resources information system, designing a Human Resources Management Division, developing training and development plans, developing and implementing change management and strategic management initiatives and implementing an Employee Assistance Programme. From 2007 to 2012, Mrs. Mendez was assigned as Deputy Permanent Secretary at the Ministry of Foreign Affairs, with responsibility for administrative, human resource and financial affairs. In 2012, Mrs. Mendez was appointed to act as Permanent Secretary at the Office of the Prime Minister, where she performed technical and managerial responsibilities for the then Minister of State. In May 2015, she was appointed to act as Permanent Secretary to the Prime Minister and Head of Public Service. She provided managerial and technical support to the Prime Minister as well as undertaking responsibilities to facilitate a smooth transition to the new administration following the general elections. At present, Mrs. Mendez serves as the Permanent Secretary at the Ministry of Public Administration, where some of her current projects and initiatives include strategic planning and organizational restructuring; implementation of the new procurement regime; establishing information and communications technology and communication strategies, and human resource policy, planning and development for the public service. Lamia Moubayed Bissat is the president of the Institut des finances Basil Fuleihan at the Lebanese Ministry of Finance. She teaches at the Institute of Political Studies of the Université Saint Joseph, Beirut, and is a development economist with a master’s degree from the American University of Beirut. Ms. Moubayed has worked in the private sector as an economist and project manager, and for United Nations agencies, namely the United Nations Development Programme and the Economic and Social Commission for Western Asia. 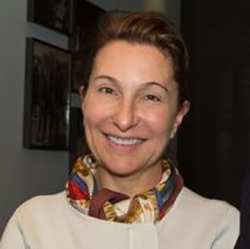 Her current work involves leading the Institute in providing public financial management training and capacity-building services, as well as policy advice in human capital formation and institutional strengthening to the Lebanese Government and other public entities in the Middle East and North Africa region. Ms. Moubayed has been a member of the board of International Association of Schools and Institutes of Administration since 2016. She became a founding member of the Middle East and North Africa Public Administration Research Network in 2013. 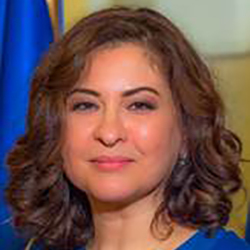 She has been the President and founding member of the Governance Institutes Forum for Training in the Middle East and North Africa region network of civil service training schools in the Middle East and North Africa since 2006. She has been a member of the World Bank Regional Committee of experts on public procurement since April 2013. Ms. Moubayed has authored and contributed to many publications and is a member of the advisory board of the semi-peer-reviewed journal Assadissa, Journal of Public Finance and State Building. She has been awarded many honours, including the French distinction of Chevalier de la Légion d’honneur in 2015 and Ordre national du Mérite in 2004, for her significant contribution to the development of cooperation ties between France and Lebanon and her commitment to State -building and to the values of neutral and impartial civil service. 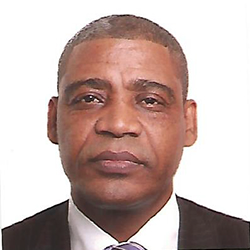 Linus Toussaint Mendjana was appointed Director-General of the National School of Administration and Magistracy by the President of Cameroon on 13 March 2012. He holds a bachelor’s degree in public law from the University of Yaoundé and a master’s in political science from the University of Yaoundé II, and is also a graduate of the school he now heads. After completing his studies at the school, he was appointed to the legal unit of the Ministry of Territorial Administration in 1987. He was appointed Assistant Senior Divisional Officer of the Département du Dja-et-Lobo, serving in Sangmélima. From 1991 to 2001, he was appointed Sous-préfet (Sub-divisional Officer) in six successive arrondissements before joining the Secretariat General of the Presidency of the Republic in 2003, where he alternated in the roles of attaché and chargé de mission. Mr. Mendjana was the President’s representative at the All-Africa Ministerial Conference on Decentralization and Local Development in Mozambique in 2003, Yaoundé in 2005 and Addis Ababa in 2009. Between 2010 and 2012, he was a member of the Budgetary and Financial Discipline Board in the Ministry responsible for State Control and Audit. He also participated in the African Union conference on the draft African Union Convention on Cross-border Cooperation, held in Ethiopia. Mr. Mendjana has visited more than 20 countries in the exercise of his professional duties related to governance and public administration. Gregorio Montero is the former General Secretary of the Latin American Centre for Development Administration and former Vice Minister of Public Administration. He is a university professor of undergraduate and postgraduate studies in academic centres as the Autonomous University of Santo Domingo, Universidad Iberoamericana, Universidad Pedro Henríquez Ureña, Universidad Tecnológica de Santiago and the National Institute of Public Administration. Mr. Montero was formerly an international lecturer, having lectured in all the countries of Latin America, as well as Antigua and Barbuda, Spain and Puerto Rico. He has been a consultant for several international organizations such as the European Union and the Inter-American Development Bank. He has also been editor and co-editor of several legislative proposals in his country, such as the Public Functions Act, the Public Administration Organization Act, the Health Law and the Administrative Procedure Act. He is the author of several works related to the State and public administration, the most important of which is “Legal regime and professionalization of public officials”, which was updated and expanded in 2015. Juraj Nemec is full-time Professor of Public Finance and Public Management at the Faculty of Economics and Administration at Masaryk University in Brno, Czech Republic, and part-time Professor at the Faculty of Economics at Matej Bel University in Banská, Bystrica, Slovakia, with 35 years’ experience in teaching at the pre-graduate, graduate and doctoral levels. In 2016, he was elected as the President of the Network of Institutes and Schools of Public Administration in Central and Eastern Europe. Since 2013, he has been the Vice-President of the International Association of Schools and Institutes of Administration and the project director of the Association’s permanent working group. 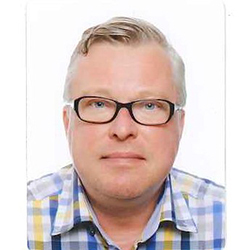 He served as the regional Vice-President of the International Research Society for Public Management during 2010-2017 and as a member of the Accreditation Committee of the European Association for Public Administration Accreditation until 2015 and is now a Board member of the Association. He is the representative of the Slovak Republic in the Group of Independent Experts on the European Charter of Local Self-Government connected to the Council of Europe. Mr. Nemec has published over 400 books and scientific articles in this field and filled several academic posts, including the position of Dean of the Faculty of Finance. In 2010, he received the NISPAcee Alena Brunovska Award for his research. In 2016 he received the Donald C. Stone Award honouring a distinguished international scholar for advancing the well-being of IASIA. Mr. Nemec also has extensive advisory and consultancy expertise in various transition countries. In his assignments in Albania, Bosnia and Herzegovina, Georgia, Kazakhstan, Kosovo, Macedonia, Moldova, Montenegro, Romania, Serbia and Ukraine, he provided activities in the field of public procurement as well as assistance in institution building and development. As a key advisor to the Governments of Slovakia and the Czech Republic, he supported all levels of public administration in the areas of public administration reform, health-care reform and the improvement of public procurement systems, prior to and after their accession to the European Union. In this position, he co-drafted the first public procurement law in Slovakia. 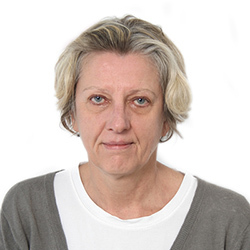 Katarina Ott has been Director of the Institute of Public Finance, Zagreb, since 1991 and Professor at the Faculty of Mathematics and the Faculty of Political Science, University of Zagreb, since 2009, teaching public sector economics, fiscal federalism and European Union-induced economic and institutional transformations. Her main areas of interest are the relationship between government and the economy, above all the budget, the public sector and public administration reforms, local finances, the underground economy, European Union integration and in particular public sector transparency, government accountability and citizen participation. She has headed projects and published papers in the area of public sector economics (particularly on local government budget transparency, public participation in fiscal policy and budget processes, European Union integration, the administrative and compliance costs of taxation and tax administration reforms) and has been engaged in producing citizens’ guides to the national and subnational budgets. She has, since 2014, represented the Institute of Public Finance in the Global Initiative for Fiscal Transparency; since 2012 been a member of the Council of the Open Government Partnership for Croatia; since 2011 been a member of the Steering Committee of the Global Civil Society Movement for Budget Transparency, Accountability and Participation and its representative for Europe; and since 2006, participated in the International Budget Partnership’s Open Budget Survey. She was a member of the Economic Council of the President of Croatia and of Government committees for pension reform and for the development of islands and of management boards of the Croatian Retirement Fund and Zagreb University. Regina Silvia Viotto Monteiro Pacheco is a specialist on building State capacities and reforming public administration, with a specific focus on public managers and appointees. Since 2009, she has been responsible for the Master in Public Policy and Management at the School of Business Administration at the Getulio Vargas Foundation, where she also has been a full professor since 1990. The Masters programme is the first such Brazilian programme aimed at building professional capacity in public affairs. In 2014, the programme was fully accredited by the International Association of Schools and Institutes of Administration on the basis of standards developed by the United Nations. Ms. Pacheco was also president of the National School of Public Administration, a body responsible for training managers and civil servants for the Federal Government in Brazil, between 1995 and 2002. During the eight years of Ms. Pacheco’s presidency, the National School reached about 132,000 civil servants, including all levels of federal managers, offering induction courses for 555 new specialists in public policy and management and 309 new specialists in the analysis of planning and budget. Ms. Pacheco is also a researcher and scholar, focusing on the reform of the State, relations between the public and private spheres, regulation, provision of public services, contracting of results in the public sector and public leaders. 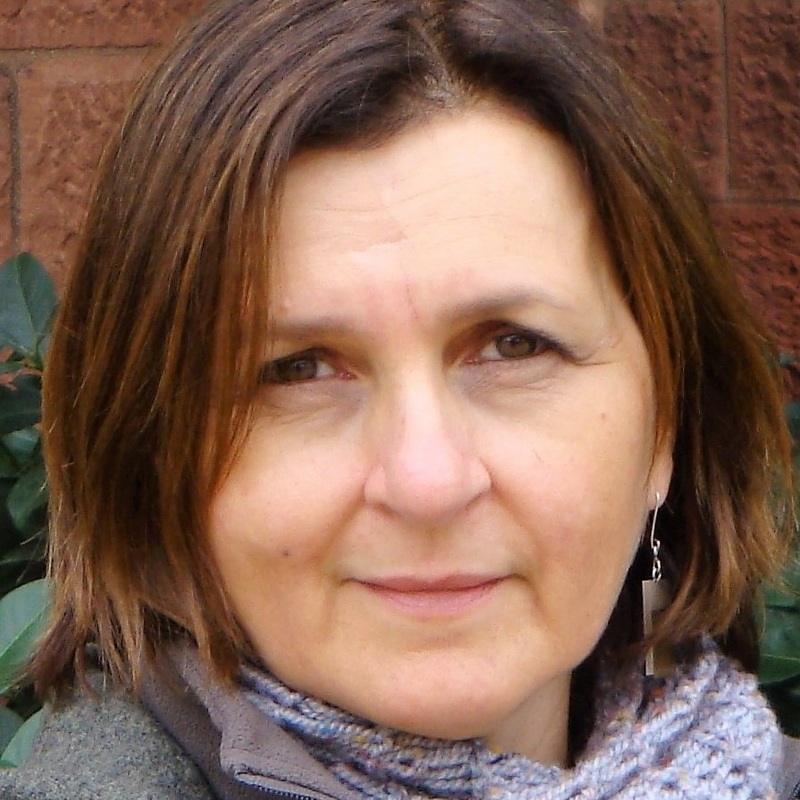 She holds a PhD from the Université de Paris-Est in Urban Development and Environment. Moni Pizani was appointed as Head of the Andean Office of the Ibero - American General Secretariat, based in Lima, as of May 2017, where she is responsible for opening the newly created office. Prior to that, she was the United Nations Entity for Gender Equality and the Empowerment of Women (UN-Women) representative in Ecuador until December 2016. She has also served as the first UN-Women Regional Director for Latin America and the Caribbean, based in Panama, before which she was the UN-Women Regional Director for East and Southeast Asia, based in Bangkok. From 2005 to 2010, she was Head of the United Nations Development Fund for Women Subregional Office for the Andean Region in Ecuador. She was previously Deputy Representative for the United Nations Population Fund in Venezuela, as well as Vice-Minister for Infrastructure in Venezuela and President of the Foundation for Community Development and Municipality-Building. She led a project to improve the living conditions of working class districts in Caracas. In 1989, she co-founded the Center for Social Research, Training and Studies of Women, where she served as Executive Director for 15 years. She has also been an advisor to the National Assembly of Venezue la, to the Venezuelan delegation to the Women’s Inter-American Commission and to the Ministry of Women in Venezuela. From 1978 to 1985, she held different positions in the National Minors’ Institute and the Ministry of the Family, including Director of the Legal Office and Head of Labour Relations. Ms. Pizani is a lawyer by training and holds a Master’s degree in the Management of Social Programmes from the Andrés Bello University, in Caracas. Director, School of Public Policy, Chiang Mai University, Thailand; and Adjunct Associate Professor, Lee Kuan Yew School of Public Policy at the National University of Singapore. With over 13 years of public service experience, Ora-orn Poocharoen has advised and done research for various institutions in Thailand, including the Office of Public Sector Anti-Corruption Commission, the Office of the Public Sector Development Commission, the Bureau of Budget and the World Bank, as well as for organizations such as the United Nations Development Programme, the German Agency for Technical Cooperation, Transparency International, the Asia Foundation, Oxfam, the Asia Productivity Organization and the International Budget Partnership. Recently, she provided consultation services to the Indonesian Government on talent management in the public sector. She has held various academic leadership positions at the Lee Kuan Yew School of Public Policy, where she was the Assistant Dean of Student Affairs, the Committee Chair for the Master ’s in Public Administration programme, the Co-Chair of the Teaching Excellence Committee and a member of the Recruitment Committee. Prior to working in Singapore, she was a lecturer at the Faculty of Political Science, Chulalongkorn University, Thailand. There she served as the Deputy Head of the Public Administration Department and Director of the political science PhD programme. She is on the board of International Public Management Journal, and she served as an Associate Editor for Policy Sciences in 2015. Her articles have appeared in journals such as Public Management Review, Journal of Public Administration Research and Theory, Public Performance and Management Review, and Journal of Comparative Policy Analysis. Some of her recent publications are Meritocracy in Asia Pacific (2013), in Review of Public Personnel Administration; Collaboration, Coproduction, Networks: Convergence of Theories (2015) in Public Management Review; and Performance Management of Collaborative Projects: the Stronger the Collaboration the Less is Measured (2016) in Public Performance and Management Review. 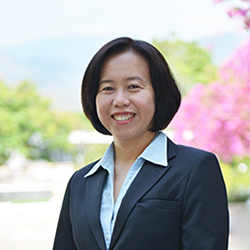 Ms. Poocharoen’s research expertise includes public administration theory, comparative public management, network management, human resource management, co-production and public participation. Specific topics include the corruption of performance information, the role of consultants in the policy process, the emergence of secondary cities in South-East Asia and smart cities. In 2015, she won the Annual Teaching Excellence Award at the National University of Singapore. Ms. Poocharoen is currently Director, School of Public Policy, Chiang Mai University, Thailand; and Adjunct Associate Professor, Lee Kuan Yew School of Public Policy at the National University of Singapore. Gowher Rizvi was appointed as the Advisor to the Prime Minister of Bangladesh with the rank of a Cabinet Minister in April 2009. He is also the Prime Minister’s Special Representative on foreign and domestic issues, including liaison with multilateral agencies, including the World Bank, International Monetary Fund, Asian Development Bank and Economic and Social Commission for Asia and the Pacific, foreign investments, non-governmental organizations, public service reforms, minority and tribal affairs, the implementation of the Chittagong Hill Tracts Peace Accord, and the Government Innovations Unit. As the Representative of the Ford Foundation in Delhi, Mr. Rizvi explicitly shifted the focus of the Foundation toward the historically disadvantaged sections of society, namely women, the tribal population and the dalits. Positions he has held previously include: Vice Provost and Professor for Global Affairs at the University of Virginia from 2008 to 2010; Director of the Institute of Government Innovations and Lecturer in Public Policy at Harvard University from 2001 to 2008; Ford Foundation Representative for South Asia Representative from 1997 to 2001; Deputy Director for Governance and Civil Society Worldwide at the Ford Foundation from 1994 to 1996; Director of Contemporary Affairs at the Asia Society, New York, from 1993 to 1994; Arnold Bernhard Visiting Professor at William College in the United States of America in 1992; Macarthur Fellow and Lecturer in Politics and Nuffield College at Oxford University from 1984 to 1993; Pro-Director of Queen Elizabeth House and the University Centre for International Development at University of Oxford from 1980 to 1984; and Lecturer in International Studies and Director of Graduate Studies at the University of Warwick from 1976 to 1980. 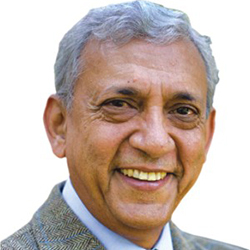 Mr. Rizvi has taught and written on a range of subjects, and his publications have straddled the disciplines of history, politics and public policy and international relations. These include The State of Access: Success and Failure of Democracies to Create Equal Opportunities (2008); Beyond Boundaries (1997); South Asia in a Changing International Order (1993); South Asian Insecurity and the Great Powers (1986); Bangladesh: the Struggle for the Restoration of Democracy (1986); Perspectives on Imperialism and Decolonization (1984); Linlithgow and India (1978). He is a founding editor of the Journal of Contemporary South Asia. Mr. Risvi holds a double first BA (Honours) and MA from the University of Dhaka and a D.Phil. from Trinity College, Oxford, and has been an elected Rhodes Scholar for Bangladesh and Pakistan. Abdelhak Saihi began his career in public administration in 1984, when he graduated from the National School of Administration. He was appointed in 1991 as an evaluator of public institutions in the Ministry of Health. Previously, he was Director General of Public Health Institutions. From 2013 until 2015, he held the post of Secretary General of the Ministry of Health. He was a member of the Committee for the Reform of the Structures and Missions of the State, a member of the Committee of Hospital Reform and in charge of the drafting of the law on health. He represented Algeria in the meetings of the Sino-Africa summit of health ministers and the regional meeting of ministers of health of the Mediterranean. He was appointed Chief Executive Officer of the National School of Health Management and Administration, where he oversaw the initiation and implementation of initial and continuing education for directors. From 1999 to 2006, he practiced as a human resources expert with the World Health Organization Africa Regional Office for Africa and designed the African Human Resource Course for 22 countries; he also worked for the United Nations Population Fund for the training of managers. Since January 2016, he has been the Director General of the National School of Administration and President of the National Observatory of the Public Service, where he is responsible for assessing and monitoring the forms of public governance, use of information and communication technologies and modernization of public administration. 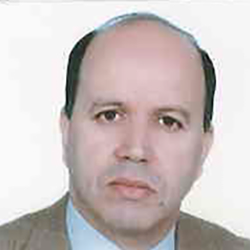 In the field of training of managers of public administration, he has been teaching and researching, as Professor at the University of Algiers, Blida and École nationale d’administration of Algeria. He is the author of several scientific articles on public administration in national and international journals. He had been involved in leading several national and international seminars on management and innovation in public administration. Mr. Saihi has a PhD from the Paris-Dauphine University in Management and Management of Public Organizations. Andrey Soroko is the Director of the Department of Civil Service and Human Resources of the Government of the Russian Federation, where he oversees the implementation of State personnel policy, regulatory aspects of the civil service, anti-corruption measures and interaction of government and civil society. He previously served as the Deputy Director of the Department of Civil Service and Human Resources of the Government of the Russian Federation and the Deputy Director of the Administrative Department of the Government of the Russian Federation. 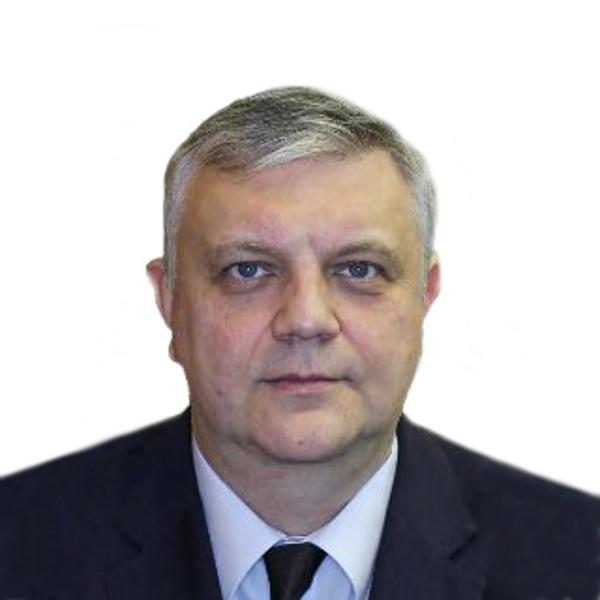 In 2014, he headed the Division of Information Technologies and Public Administration of the Institute of Innovative Technologies and Public Administration of Moscow Technological University and participated in the establishment of partnership agreements with scientific institutes, educational centres and production firms in a number of countries. He is currently a member of the Academic Council of the International Institute of Civil Service and Administration of the Russian Presidential Academy of National Economy and Public Administration and serves on the editorial committee of Gosudarstvennaya Sluzhba, a publication on matters related to civil services. In 2010, Mr. Soroko was appointed as a member of the Commission on Administrative Reform, a coordinating agency for federal bodies of executive authority, as well as organizations and public associations concerned with administrative reform. He holds a doctorate in Economics and has been the recipient of various public awards.